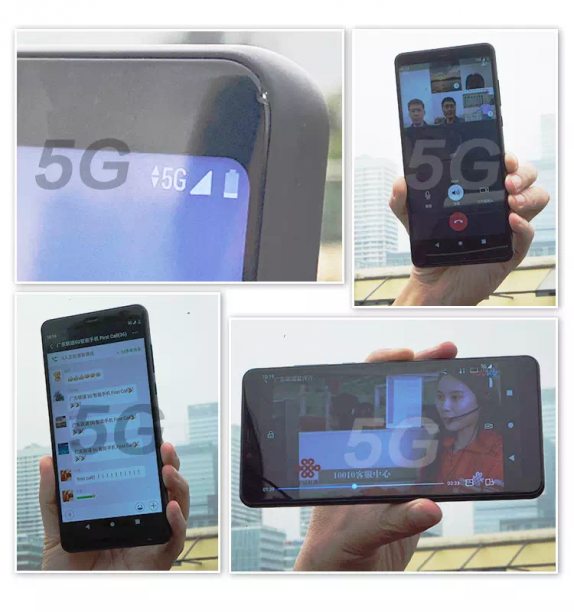 ZTE Corporation has announced that Guangdong branch of China Unicom and ZTE have made the world’s first 5G call by means of ZTE’s 5G prototype smartphone in Shenzhen 5G field trial. The test also completed the verification of diverse services, such as Wechat group voice call, online video, and web browsing. This makes the Shenzhen field of China Unicom the world’s first commercial test field to make the first call in the NSA mode and it is in compliance with the 3GPP Rel-15. Shenzhen is one of the first 5G pilot cities of China Unicom and is fully verifying the 5G network equipment’s networking capabilities, special services, roaming and interconnection, and the inheritance of existing services in phases. The test adopts ZTE’s 5G end-to-end solution, including a radio access network, core network, transport network, and intelligent device, realizing the connection with ZTE’s 5G prototype smartphone in the field environment. The test has also verified several 5G key technologies such as Massive MIMO, 5G NR, NSA dual connectivity, FlexE transport technology, and 5G Common Core. ZTE’s 5G solution has passed the end-to-end test in the three months after the release of the 3GPP Rel-15. It showcases ZTE’s strong competency in 5G R&D and commercialization.